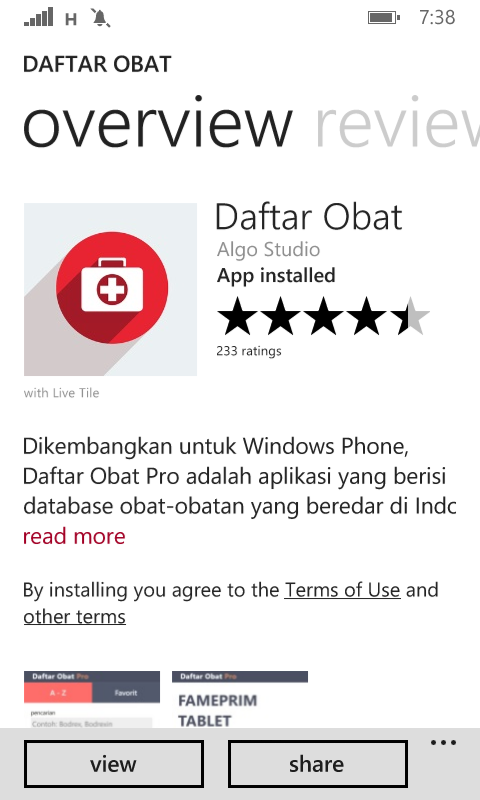 This is a list of drug or application list names of medicines (daftar obat)that you can get in the Windows store, for example: applications we show this is just one of the indonesian applications Regional, there may be other names besides this to Regional international you can find in the Windows store appropriate firmware Lumia you. Can be seen in the settings Menu, to see regional firmware Lumia you. 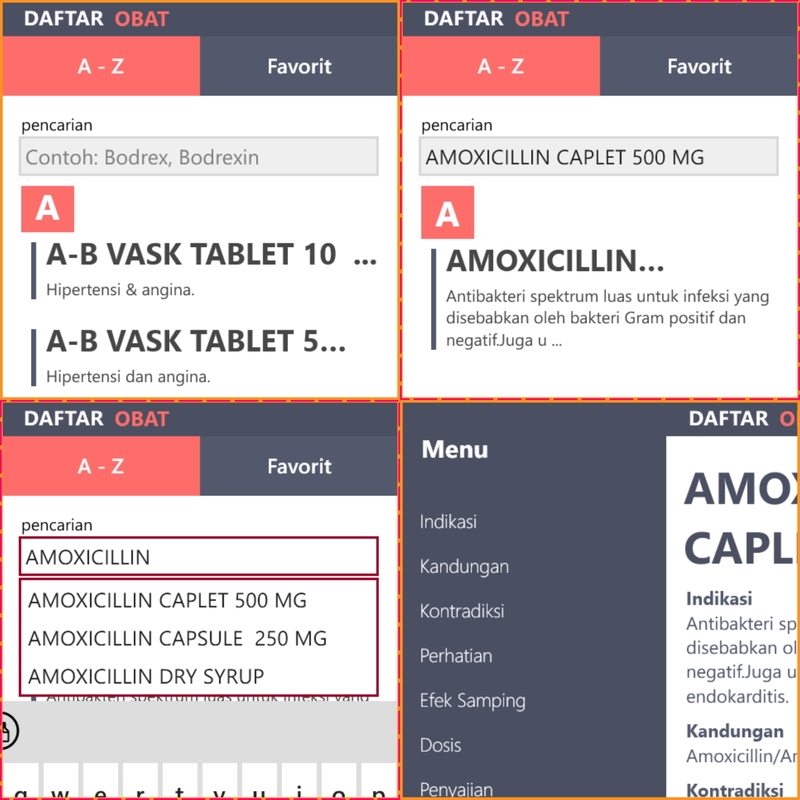 This application is very useful, with content about the benefits of healing disease, indication, prices, materials and other names of the drug with the same functionality. You can get online on this application, and it will always update if this application is experiencing a better change (upgrade). But the need to know: ' This application medicine, will give you the full features, if it is purchased or paid officially '. The conclusion: ' it is a paid app that is very helpful to know the names of the medicinal and healing '. Will be able to take advantage, as in first aid if suddenly Contracted diseases '. The look of the layout could see below, with the Indonesian text. You are on the website page WINDOWS MOBILE PHONE - setting and Upgrade. 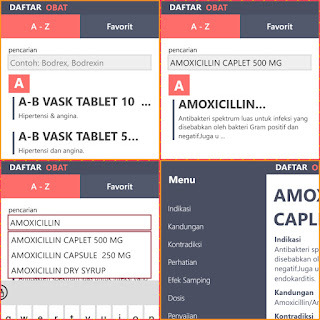 Daftar obat premium With the link URL http://hand-uk.blogspot.com/2015/06/daftar-obat-premium.html for this articles, you can bookmark or share to any. Our expectation that Windows smart phone users, can understand and know about OS Windows phone. Daftar obat premium Is a link for you, How to use the pure smart phone.